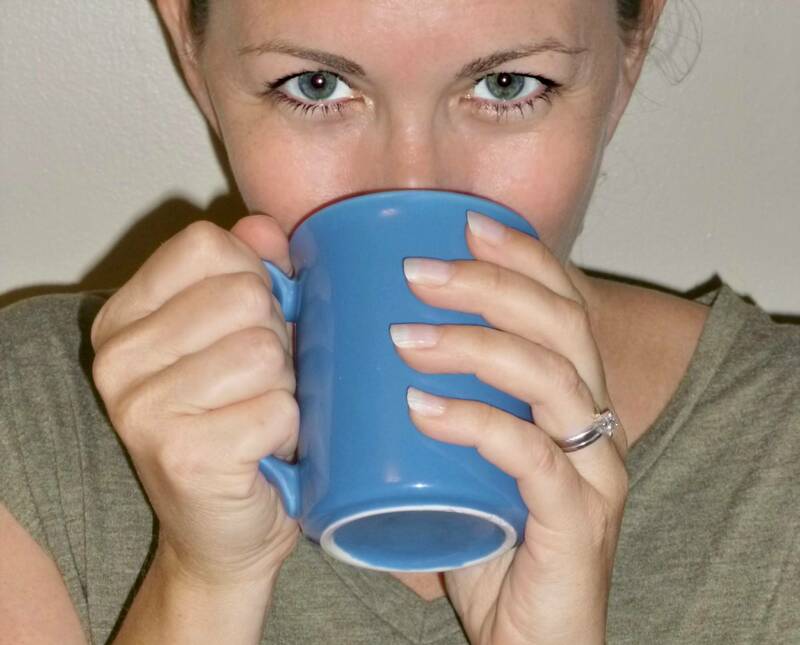 I begin dreaming about Thanksgiving at the first sign of fall. I get excited about turkey, of course, but my true devotion is to the side dishes. Around here, slow cookers are heavily utilized during holiday meal prep. We cook hams for Easter and turkey breast for big family gatherings where one bird isn’t enough to feed the crowd. 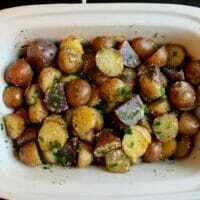 We slow cook appetizers for all kinds of celebrations, and depending on the holiday, we may make mashed potatoes, stuffing, drinks, and/or these delicious Crock Pot Herb Garlic Parmesan Potatoes. If we’re lucky enough to have any Crock Pot Herb Garlic Parmesan Potatoes leftover, we dice them up the following morning and fry them into breakfast potatoes. These spuds are as delicious as they are beautiful, full of garlicy decadence and covered in butter. They are great paired with turkey, pot roast, salmon, or pork chops, or just eaten right out of the slow cooker which I may have done while snapping pictures for this post. If you’re like me, and insist on giving any new potential holiday dish a trial run before the big day, whip up a batch of these potatoes for dinner. Pair them with roasted chicken or pork tenderloin, or whatever main dish you have planned for the week. 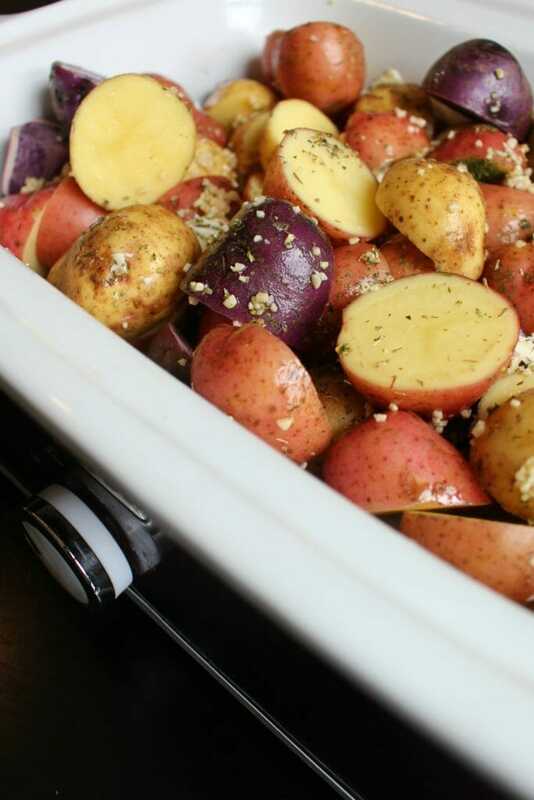 Your house will smell amazing, and your side dish will steal the show. 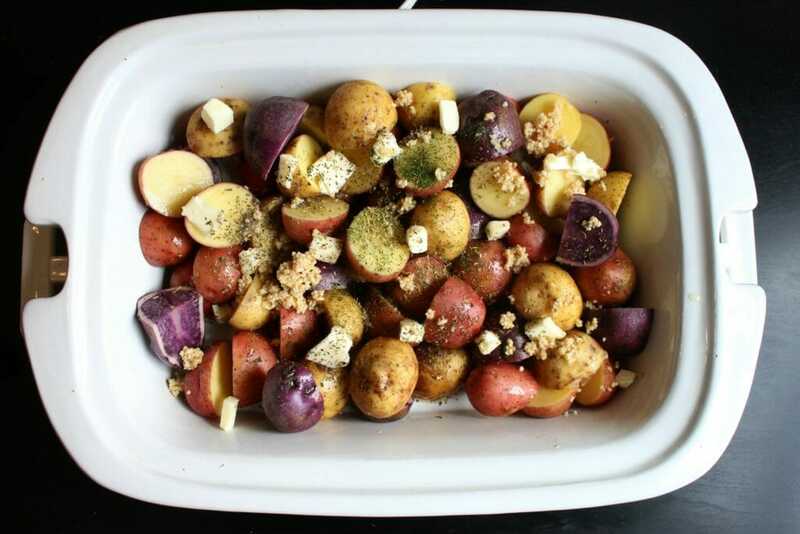 Scrub potatoes, and place in slow cooker. 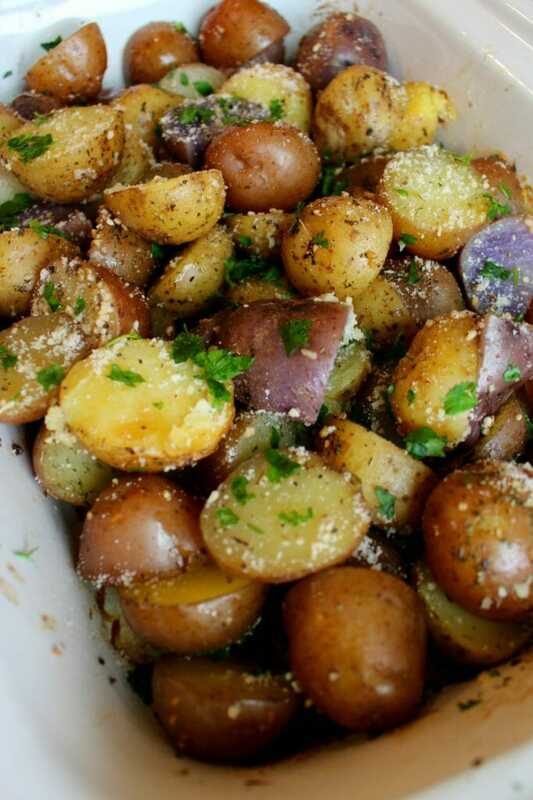 Add olive oil, butter, garlic, oregano, basil and dill to potatoes. Sprinkled with Parmesan, garnish with parsley, and add more salt and pepper if necessary. 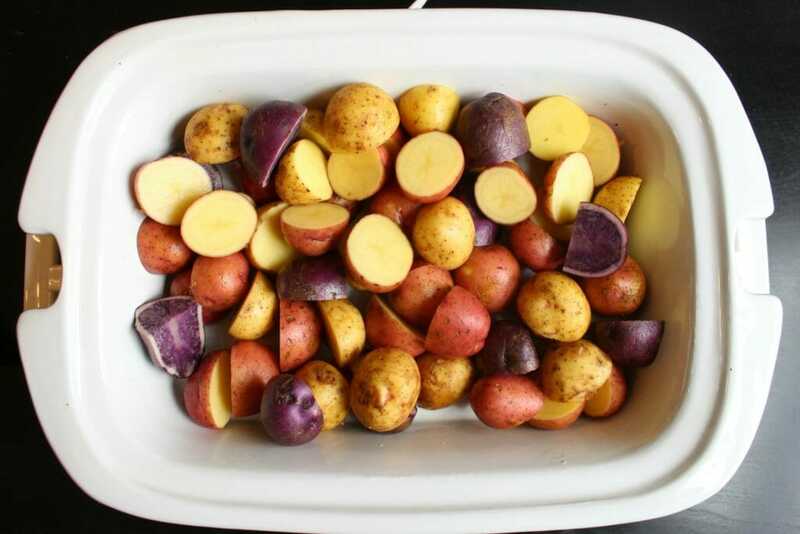 An easy and delicious slow cooker side dish! 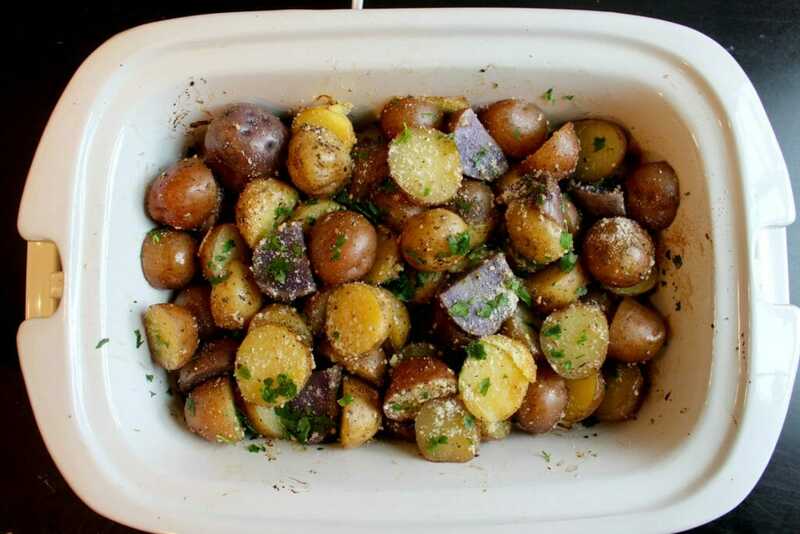 Place scrubbed potatoes, olive oil, butter, garlic, oregano, basil and dill into the slow cooker.